The nominations for the 2019 British Academy Film Awards have been announced. The awards, which honour the best British and international talent and contributions, will take place at the Royal Albert Hall in London on February 10th. Yorgos Lanthimos’ ‘The Favourite’ emerged as the clear front runner, earning 12 nominations in total including Best Picture and Best British Film. ‘A Star is Born’, ‘Roma’, ‘Bohemian Rhapsody’ and ‘First Man’ each received seven nominations, while ‘Vice’ has six, ‘BlacKkKlansman’ earned five and four went to both ‘Green Book’ and ‘Cold War’, respectively. Irish cinematographer Robbie Ryan has been nominated for his work on ‘The Favourite’, which also received craft nominations for Best Production Design, Best Hair & Make-up, Best Editing and Best Costume Design. Ryan was also recently one of two Irish cinematographers to be nominated for an America Society of Cinematographers Award along with Cathal Watters. Irish documentarian Chris Kelly has also been nominated for a BAFTA in the category of ‘Best Debut by a British Writer, Director or Producer’ for his work on the IFTA nominated documentary ‘A Cambodian Spring’. Chris is credited as writer, producer and director on the project that won the Special Jury Prize for International Feature Documentary at the prestigious Hot Docs festival in Toronto in 2018. Irish actors Barry Keoghan (‘Americal Animals’, ‘The Killing of a Sacred Deer’) and Jessie Buckley (‘Beast’, ‘Wild Rose’) have been named among the EE Rising Star Award nominees, which was previously announced last week. Other rising star nominees include Cynthia Erivo (‘Widows’), Lakeith Stanfield (‘Get Out’) and Letitia Wright (‘Black Panther’). 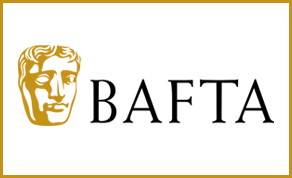 The 72nd British Academy Film Awards will take place on February 10th at the Royal Albert Hall in London.